Whether you're just getting into kickboxing or are a professional, we want you to try out our gym! Our instructor Joe Beck is a Certified Personal Trainer, as well as a former IKF kickboxer and current MMA Gold Fight Team kickboxing coach. Located in Folsom, we offer kickboxing, boxing, personal training and yoga classes. 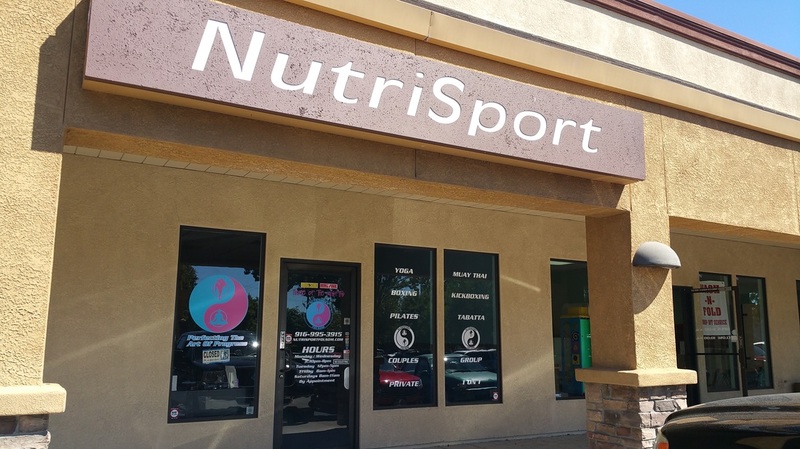 NutriSport is a new personal training and boxing class studio located in Folsom, CA. Classes include both cardio boxing and boxing classes with a focus on learning proper boxing technique. Personal Training and Yoga Classes are available by appointment. Personal training and boxing classes are offered by Joe Beck. Joe is a Certified Personal Trainer, as well as a former IKF kickboxer, and current MMA Gold Fight Team kickboxing coach. He has studied Martial Arts for 18 years. Contact Joe at 916-995-3915 for more information about training or classes. One-on-one yoga sessions are also available by appointment from our part time yoga instructor. Our yoga instructor has many years of experience as both a yoga instructor and is also a Certified Personal Trainer. Contact us at 916-995-3915 for more information.